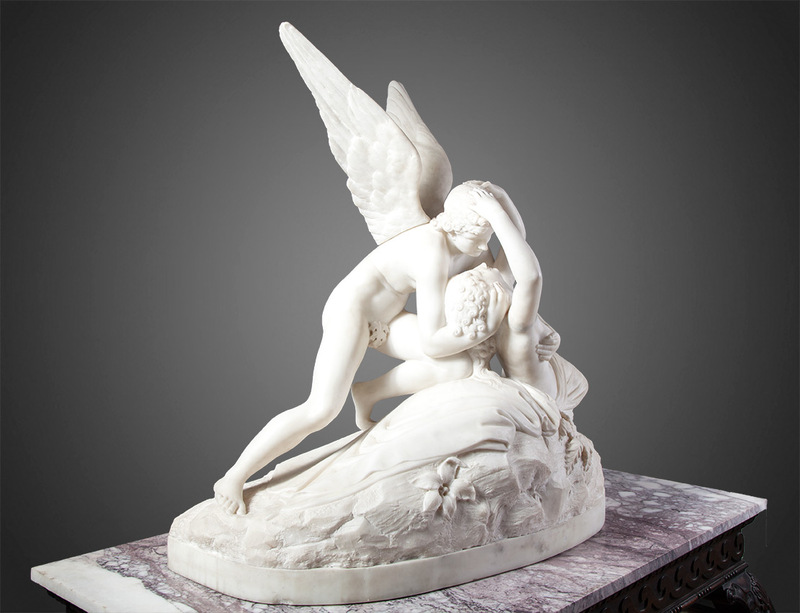 This winged young man who has just landed on a rock where a girl lies unconscious, is the god Eros – Cupid in Latin – and can be recognized by his wings. 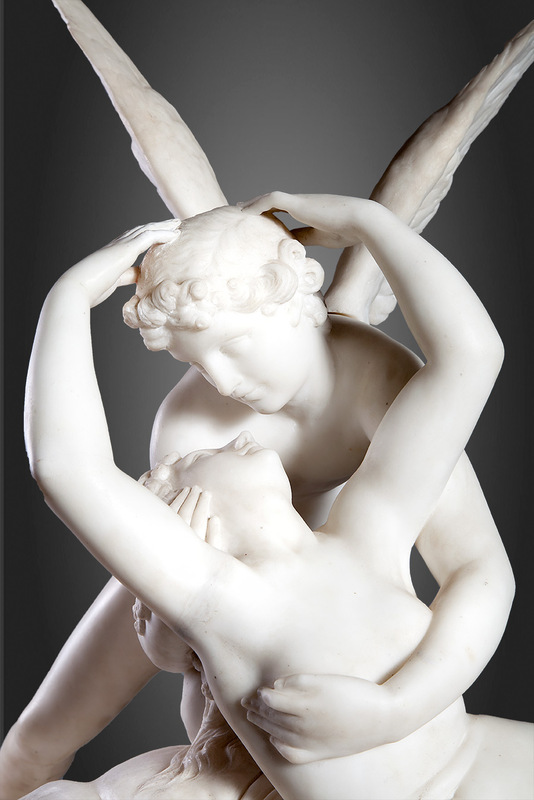 The girl’s name is Psyche. 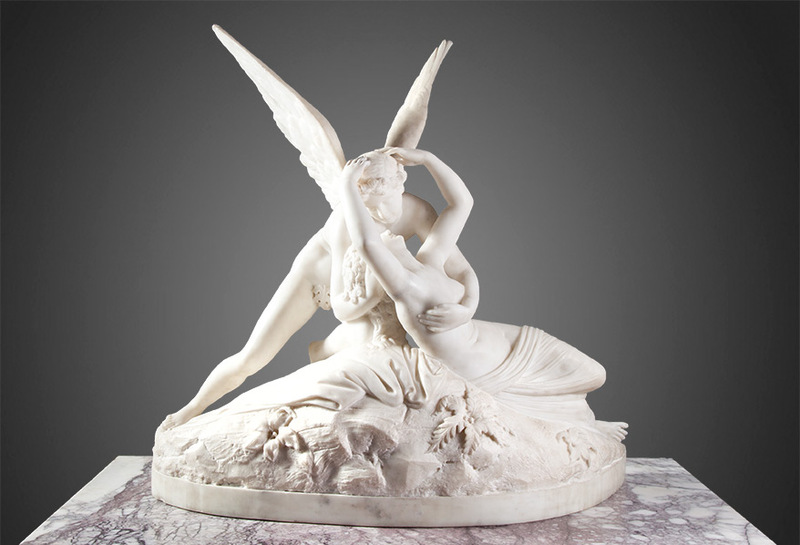 Cupid’s mother, Venus goddess of Beauty, demanded that Psyche bring back a flask from the Underworld, strictly forbidding her to open it. 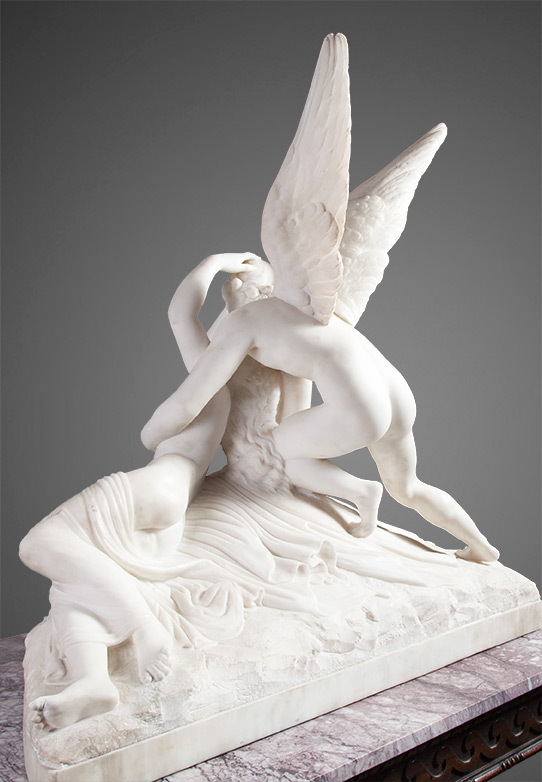 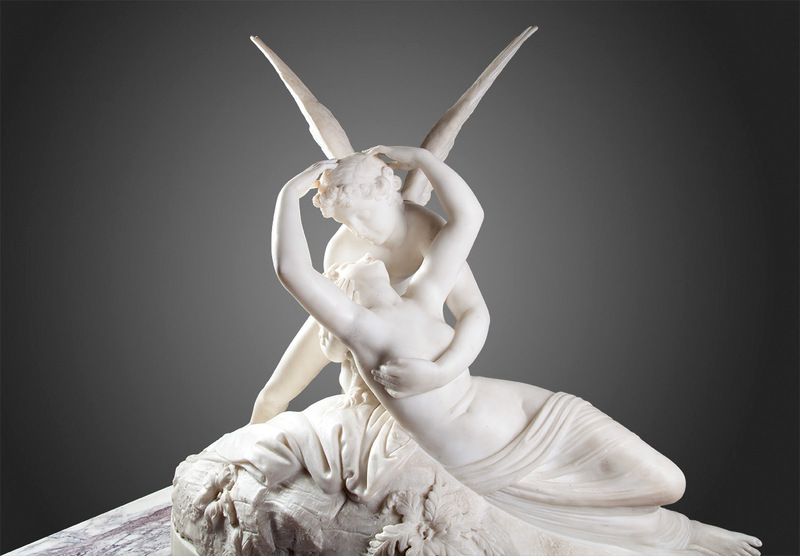 Canova took his inspiration from a legend recounted by Latin author Apuleius in the Metamorphoses. 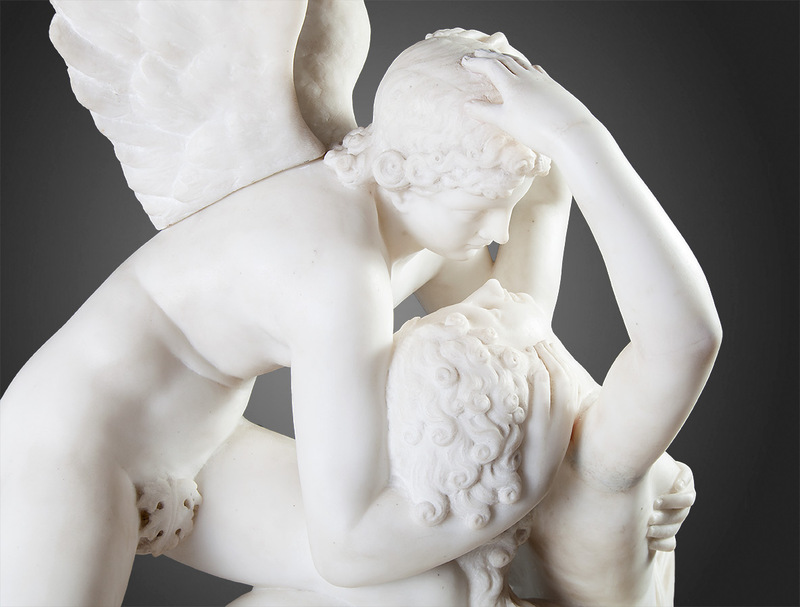 At the close of the tale the gods decide in council to grant Cupid Psyche’s hand in marriage, according her immortality and making her the goddess of the Soul.